Here’s how to get unlimited free motivated seller leads on autopilot. That is correct. Craigslist has a re-direct that if you type in craigslist.com/.net/.biz it will take you to craigslist.org. They have cornered the market or their name because they are an internet based company. You will find that with most internet based companies. How do I find cash buyers. Don’t have problems finding properties but have a hard time locating buyers that are really interested in purchasing within a 7-10 day window. What advice can you give? MLS and hand written bandit signs. What you may not recognize as your true problem is that the properties you have found are not great deals and therefore no one wants to pull the trigger to buy quickly because the deals you have found are marginal. I want to start real estate investment . I am completely new to this . don’t know from where to start . I have good credit . I have 200 k saving . I live in Barstow CA . Can you please be my mentor ? Thank you for the time . I’ll have a member of my team reach out to you shortly. after reading your book that sent me to the bonus stage, there was another apprentice app, but it looks similar too the one that I filled out already. I would love to become an apprentice. I didn’t do quite well on the IQ test, I missed two questions that I should have known (8/10). I will finish reading your book. Those that read my book and apply have a slight advantage over those that apply but don’t take the extra time to read it. If they haven’t already done so, my team will reach out to you shortly. What year did you graduate Vanderbilt Phil? You also mentioned to check the credential of the advice giver; I assume that you have the credence, but how do we know that you’re the one to guide us through our hard work to financial freedom? Your videos are excellent, but again if I never done this before I wouldn’t quite know for sure. I graduated in 2002. Been in real estate ever since. And as far as knowing if I am the one to guide you…the answer to that question will probably reveal itself over time. It’s a two way street. I may already have a student in your exact area so it may not work at this time. So not only do you have to know in your heart that my team and I are right for you, but we also would have to accept you into our program. I understand! Hopefully, I am chosen as I feel confident with you and your team. From all the material I have been viewing and reading I am sure you guys can guide me to the financial freedom I will achieve one day! Great material by the way, I have started reading the book think and grow rich napoleon hill. Is being an illegal in the USA a problem . Been here since I was 5 years old. My question is? Is it possible for me to get into real estate ? Non-US citizens buy and sell real estate all the time. Japanese investors have owned some of America’s most iconic real estate, including Pebble Beach Golf Course, the Empire State Building, etc. I am no immigration expert but I see no reason why you can’t buy and sell real estate in the US, even if you aren’t a US citizen? Some people feel like they need to know what they are doing before they get started. If that is the case with you, then perhaps educate yourself before calling on some sellers. Others feel that the best way to learn is to just dive in and learn as they go. Everyone is different. I email those on my email list when I post new content. You can also subscribe to my social media properties like Twitter, Facebook, Google+. Hi Phil, do you have any students in the Daytona beach market or is this open? I don’t mentor or coach anyone in Volusia county. That’s off limits because it is my home market. Hey Phil, I love your book and your videos. I started investing in 2004 the traditional way. My credit was at 720. I bought about 10 houses the wrong way with the help of my agent. Could not keep tenants and many of them feel into foreclosure. I desperately need your help here in NC. I applied for your program. I hope I get the chance to work with you but if not I plan to continue trying and use your trainings as a foundation. Hi Phil, I have enjoyed reading, watching and listening to all of the great information that you offer to every day Joes like me. Thank you. I am a young retiring Police Officer (due to an in the line of duty injury) who needs another career. This would fit nicely as I have always been interested in real estate. I live in Bucks County, PA. I have read your book (twice), I watched every available video and listened to all of your audio (all that I could get my hands on). I filled out the application. I am highly motivated and have taken several steps to launch my new career already (started LLC, created a website, internet ads, flyers, etc.). Having you and your team available to mentor me would be greatly appreciated as I know that we would fit perfectly and would be extremely successful in my area. Thanks again for all of your hard work and I look forward to hearing from you and your team soon. Hi Phil! I read your book and have been watching your YouTube videos! I also applied to your mentor program but didn’t receive a call. Are you taking any students right now?? I am Vietnamese , how can I get a American mentor in real estate investment ? Thank you ! Other then Craigslist what other ways to find motivated sellers and be successful? Myself, my coaching staff and my top students, combined, spend hundred of thousands each year to test out new ways to generate quality motivated seller leads. That wisdom is among the most expensive to acquire and it is always a moving target. We share what we glean from those tests with our apprentices only. If you would like, apply for my apprentice program. Anyhow, my point: Nashville is an investor SHARK TANK right now. Loads of them use Craigslist for their leads. Think Craigslist is still a “creative” enough idea to not be a time waster? Presuming I know how to grab a true motivated seller? Thanks for the great videos. You’re reminding me that hey, I really do want to do this stuff. Gracias. Craigslist has gotten pretty crowded. Perhaps partly because I put together a video on it. I learned my lesson and therefore no longer put together trainings on how to find the best deals. Plus, myself, my coaching staff and my top students, combined, spend hundred of thousands each year to test out new ways to generate quality motivated seller leads. That wisdom is among the most expensive to acquire and it is also a moving target, ever changing. We share what we glean from those tests with our apprentices only because I don’t want non-apprentices to be directly competing with my apprentices in those techniques. Ironically, the fact that Nashville is an investor shark tank can be wonderfully helpful IF you how to get to the deals before anyone else. It can actually be to your benefit, to get to the deal first and then let the deal loose on the sharks. you’re right about that last point! Buyers coming out the ears! 🙂 And I’ll take the answer about craigslist as a “Yeah … definitely try something more creative.” (Not shunning your program, btw, just not qualified for it at the moment.) I’ve got a few ideas/resources up my sleeve to try. I appreciate your taking the time to reply. Phil, I a m new to this as are many others. I have read comments from your fans and the appreciation they seem to have for you and your attitude of your heart and spirit, show servitude and generosity. Our Lord says” carry one another’s burdens” and (Teach a man to Fish). You are abiding by his words and for this, the law of reciprocity is very much in your favor. I would very much enjoy the opportunity to one day work with you, I have read your book “How to be a Real Estate Investor”. . I have many goals not only for myself but as you do, (Help Others). I promised my Mom before she passed, I would do this. Am I nervous, very much so! Which is an understatement. I need a great, not a good mentor and I trust this may be you and your organization. I’ve been trained how to assign contacts and wholesaling but yet haven’t done my first deal. Please be my mentor. I’ll work so hard. Promise. What advice or direction would you offer a person with a couple thousand to start off in this business? 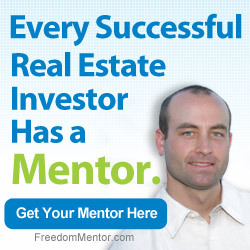 Watch my videos, take my Creative Real Estate Investing and Flipping Houses course (coupon code “freedommentor” will allow you to get it for free). In other words, educate yourself first before diving in. I have read your book and watched most of you videos on line. Please help me . I. Am recovering from a severe store and brain anurism but I am pretty smart. Thanks! 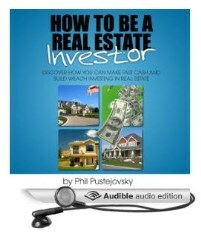 Hey Phil just wanted to say thank you for giving the community the tools and free education to help ourselves in the real estate game. That being said my biss partner and I just started our real estate LLC we don’t have capitol and we are a young team but have construction experience were would you suggest we start with no money? Start with finding motivated sellers. My question. What do i do First to become a successful investor. I’m living in Atlanta ga área. Would You be my mentor to start investing real estate in this área? hey Phil I’m in St Louis in the ghetto surrounded by vacant houses and not saying that your method doesn’t work but I do understand the real estate in St Louis no ones buying houses so how would I go when it comes to renting houses here. Because I read your book and I understand what you said about contractors doing you wrong when it comes to money so how would I get over that.? There is always a buyer, even in the ghetto. Section 8 investors love deals in the ghetto…at the right price, of course. hey, I wanted a mentor so I moved from sf, CA to middle-of-nowhere Va to work with a mentor. And when I get here…he’s an agent…sorry i dont want to be a agent yet…and no money…so He says he knows investors…well he’s not telling me…annoyed I want to move back to sf and sleep on the floor and get a job. Im on his floor now while he’s asking for rent. I should have known since he’s old and set in his ways. Sounds like you didn’t do your homework first. Phil…do you have a mentor in Broward County, FL? I still really need a mentor because I still am being contacted by homeowners that are motivated, but I don’t know what to do once I have their attention. I need a contract, but where do I get one for free? I mean, it’s just really difficult going through this with no help! You get what you pay for in life. A free contract is probably not going to be as good as one you pay for. 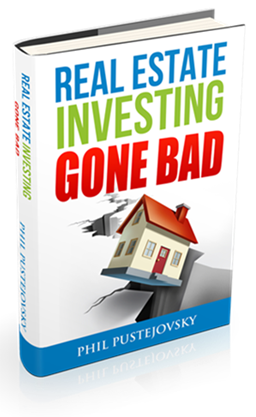 Upon reading your book I can see that I have been missing some things and really need guidance to become the Real Estate Investor I wish to become. I was wondering if you have anyone in the Omaha, NE area that could show me a couple of things and we could do a joint venture on. Thanks. Hi, I just found this ad on craigslist. What do you think? LOOKING FOR ONE (1) RE INVESTOR WHO NEEDS HELP FINDING MOTIVATED SELLERS IN HAYWARD, CASTRO VALLEY, UNION CITY, FREMONT, NEWARK, SAN LEANDRO. IM A REGULAR PERSON LOOKING TO MAKE EXTRA INCOME AS A HOUSE HUNTER. I WILL ADVERTISE FOR FREE, COLLECT MOTIVATED SELLER INFORMATION, AND SEND IT TO YOU. IN RETURN I ASK FOR 2.5% COMMISSION OF THE CLOSED OFFER YOU MAKE TO EACH MOTIVATED SELLER. IF INTERESTED, CALL ME TO FURTHER DISCUSS. THANK YOU. Call and find out more information about it. When you have a seller under contract. The next step is to find a cash buyer, then what do you say to them? Do you tell them that you have a house under contract? Thank you for refering me to your book, i love it! I bird dogged and sold some property along with putting property under contract close next week. I have to be careful with craigslist in atlanta. What do you suggest? Ive been cold calling on zillow. Good informative video. Have spoken with one of your people, sounds good. Thanks for your time and business sharing. Phil, I’m interested in participating in your program, but I have a question. Our family residential house has both my name and my mom’s name on TITLE. Mom lives in a different country and don’t plan on coming back to the U.S. so mom wants to sign a Quitclaim Deed to leave house in my name but she don’t want to go to the U.S. Embassy in that country to do sign Quitclaim Deed. 1) Can she sign Quitclaim notory public in another country? Or does it have to be “apostlee”? Or does Quitclaim Deed have to be signed at U.S. Embassy? After I clear that hurdle I’ll be able to invest with the equity in the House, and work with you. Please let me know. Thanks. The Craigslist site is actually craigslist.org (not craigslist.com as shown on your video). Just thought to mention as the website craigslist.com is one trying to capture information. I just tried your idea and found an amazing property on Marblehead Neck northshore of Boston where I plan to work my plan with your mentoring. This particular property is selling for 1.2 Mil and I see it as an investor buy to rent week to week would bring in likely 10K to 12K in summer weeks. Then perfect for corporate rental month to month spring and fall months. May not rent it at all in the winter months. If I had the money to buy this property, that is exactly how I create income from rentals. Do you mentor students in the Delaware/Pennsylvania area? Do you mentor students in Canada? Our strategies work very well in Canada.